KC Rosa: I Can't Wait For Indiana! I Can't Wait For Indiana! 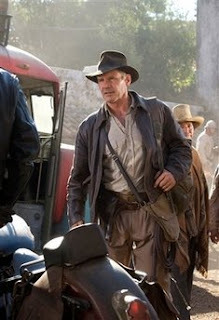 Although I have to say I am worried that Harrison Fordmay look waaaaay too old for my beloved character, the truth is that I can't wait for Memorial Day to go watch "Indiana Jones and the Kingdom of the Crystal Skull"
A Kiss Is Not Just A Kiss!